At the center of Palermo, the intersection of Corso Vittorio Emanuele and Via Maqueda is called Quattro Canti, or Four Corners. Quattro Canti is octagonal in shape, and it is flanked by four 18th century Baroque facades, each with a fountain and a series of statues. On the first level–the street level–are images representing the four seasons. 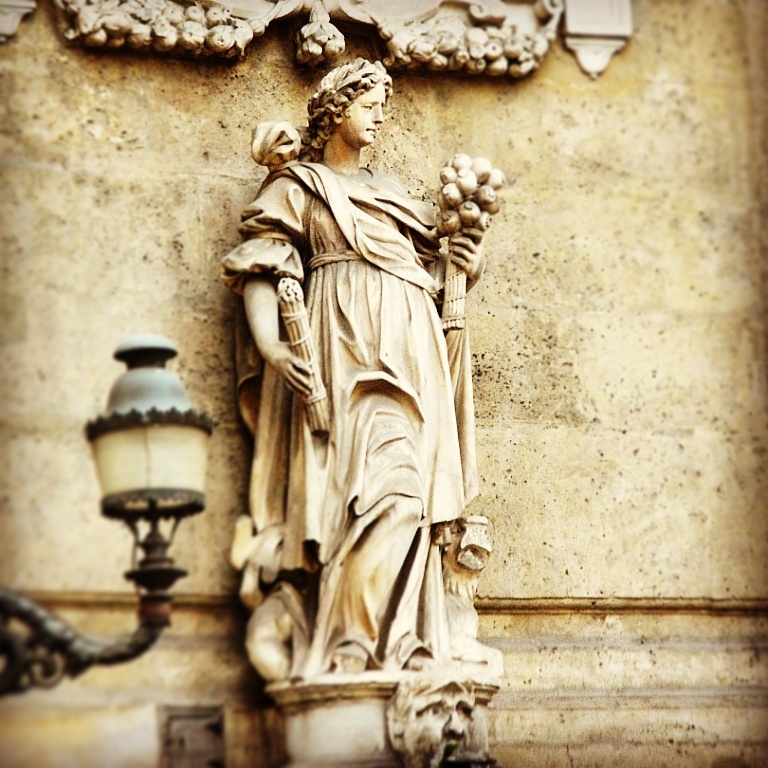 The statue in this photo, which carries the bounty of the season, represents summer. If the “red priest” came to Palermo, he would have been inspired for sure!